Injustice 2: Scarecrow, Captain Cold Added To Roster | Nerd Much? 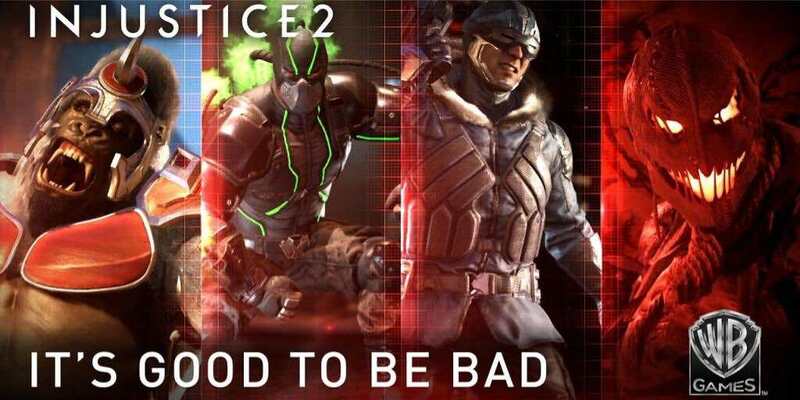 Warner Bros. and NetherRealm Studios has released yet another trailer, this one titled “It’s Good to be Bad,” to announce the four new super-villains to be added to roster of Injustice 2. These new characters include Gorilla Grodd, Bane, Captain Cold, and Scarecrow. Each have their unique abilities, of course, usually something to do with their respective names. Gorilla Grodd focuses on aggressive, if slightly unrealistic, gestures and hits that reflect the gorilla. Captain Cold can, well, freeze his enemies and create ice walls. Though these don’t seem as invincible as Mei’s from Overwatch. Scarecrow, though he makes an obligatory line about being able to scare people, has abilities more focused on branches/vines attached to a sickle to act as a grappling hook. Out of these four, I would say that Scarecrow is the most creatively designed character model. The noose around his neck and sickle as a weapon imply more about death and the reaper than they do about protecting crops from birds. Thus, a great deal more suited to the costume of a villain. As the list continues to grow, Injustice 2 is highly anticipated for it’s release on May 16th of this year on the PS4 and Xbox One. What do you think of these super-villains? Do you have a favorite? Let us know in the comments below!